Our sweet li'l grandgirl celebrated her 4th birthday recently. Naturally, I had to make her a special card for her special day. 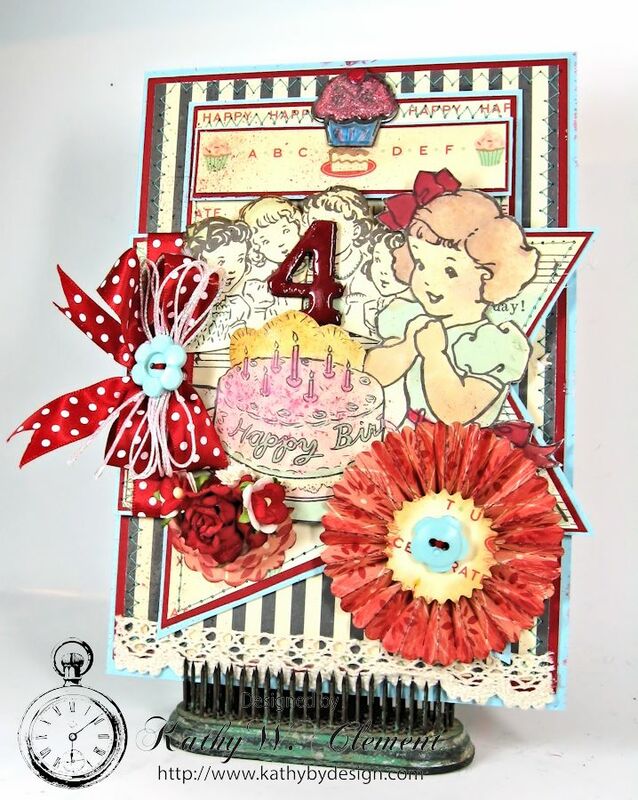 So I pulled out my Really Reasonable Ribbon and worked up this super fun retro Cakewalk Happy Birthday Card to help her celebrate. I love this retro color palette of teal and aqua. I carried it out by embellishing my card with cheery Red Swiss Dot Satin Ribbon topped with a White Iridescent Metallic String Bow. Simple punched circles are dressed up with a WOC Trellis Rose and some Red and White Sweetheart Blossoms. To add texture, I lined the base panel with a strip of Melissa Natural Crocheted Lace. This combination of ribbon, lace and flowers really make this card birthday party ready! 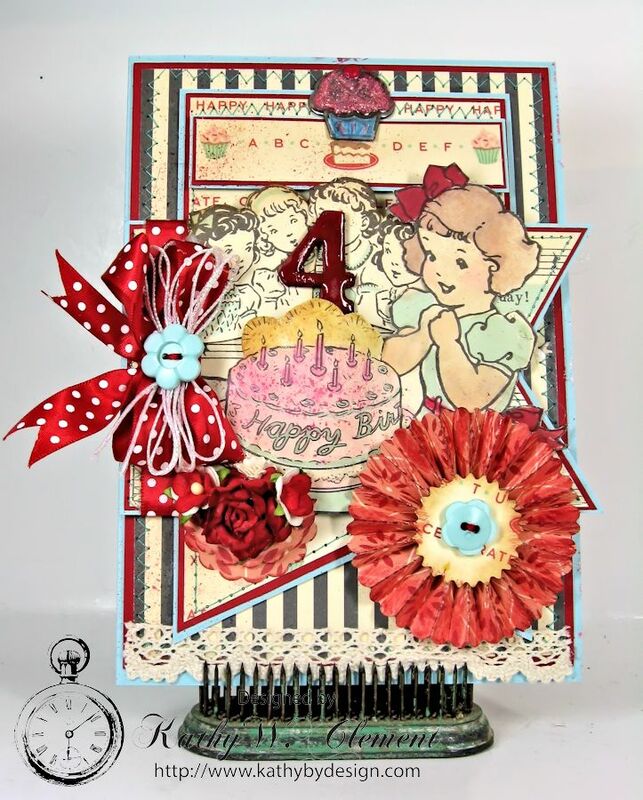 If you are also a fan of this great retro color palette, you'll want to take a peek at the April Ribbon Club Collection, which features a fantastic mix of red and turquoise ribbons. 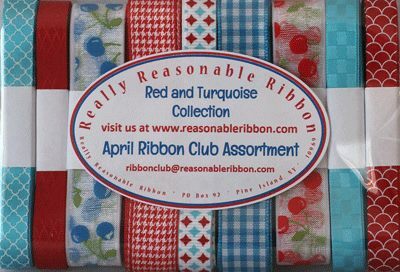 If you're not a member of the RRR Ribbon Club, you can find all the details HERE. Thanks for stopping by!